Hello, guys!! Did you have a good Thanksgiving?? We had a great one with some of our church family, and I only cried in the bathroom for 45 minutes, for no logical reason, which was not at all embarrassing. So that's good. But! Still thankful. Because Jesus. So, anyway, Christmas is coming, and guy presents are so hard. 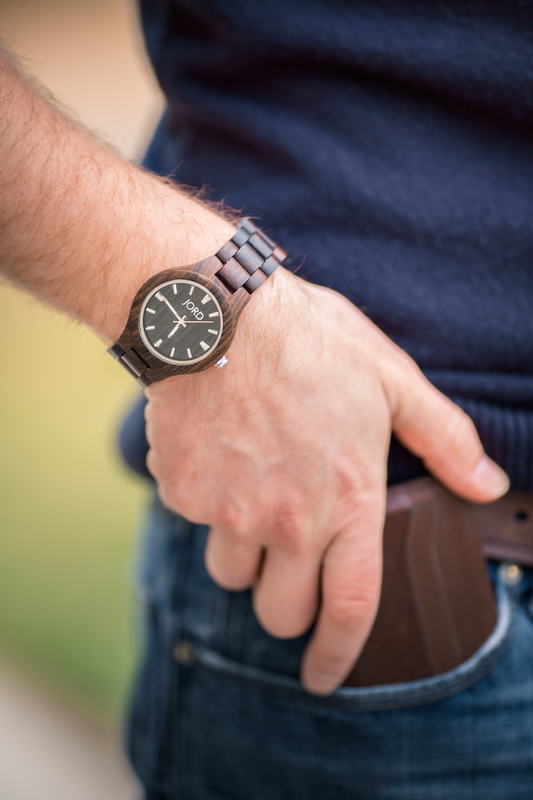 So I'm pretty excited to share this watch company with you, because I think they're basically the perfect thing for guy gifts!! JORD actually sell girl watches, too, (LOVE the Frankie series) but since I only wear my special watch with sentimental value, I asked the company if my brother could review one! He has very discerning taste, so I knew he'd like them. 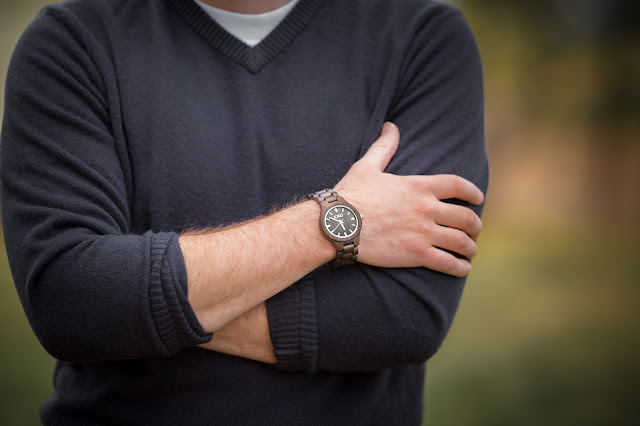 The watch he chose and is modeling in the photos is also my favorite. :O) It's so cool looking! "There’s nothing like receiving a package in the mail. More so, one you’ve been awaiting with great anticipation. I have always been a “watch guy”. Interestingly, I have not worn a watch in years because I haven't found one that has met my criteria; the piece must first and foremost be unique. (Anyone who knows me knows that I am more of a unique character and I want my watch to reflect this.) Secondly, of good quality. And the final criteria, and the reason I haven’t owned a watch in years… price! 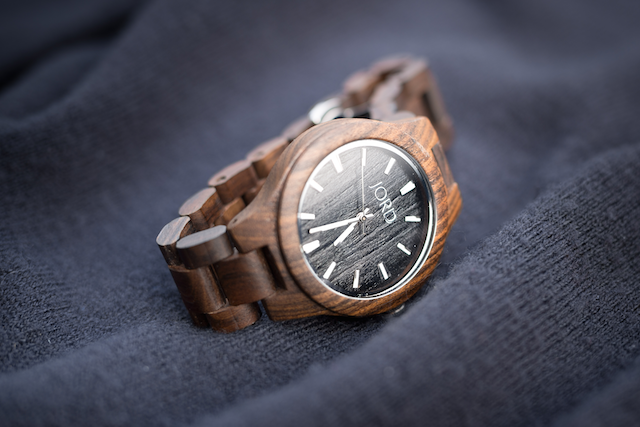 First off, I didn’t even know wooden watches were out there. So when my sister sent me a link to look through JORD’s assortment, I instantly fell in love. 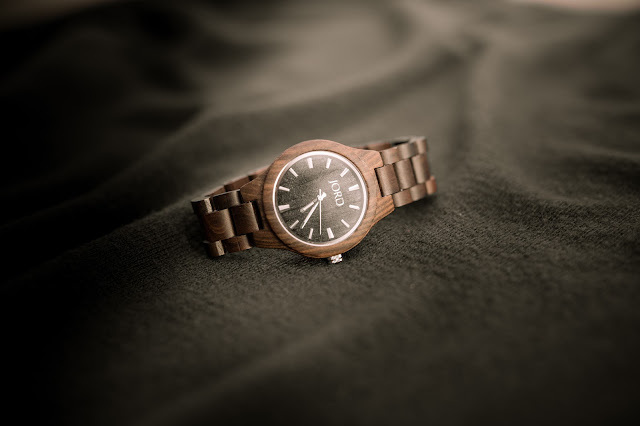 Not only were time pieces unique but their natural, earthy, wooden character struck a very distinct chord with me. After scanning through the assortment a few stood out as being distinctively “me”. I used the help of two of the women who know me best (wife and sister) and made my selection. Then, after printing out a “wrist band” measuring tool provided by the company, the pre-sized watch was on it’s way! -You will get noticed! 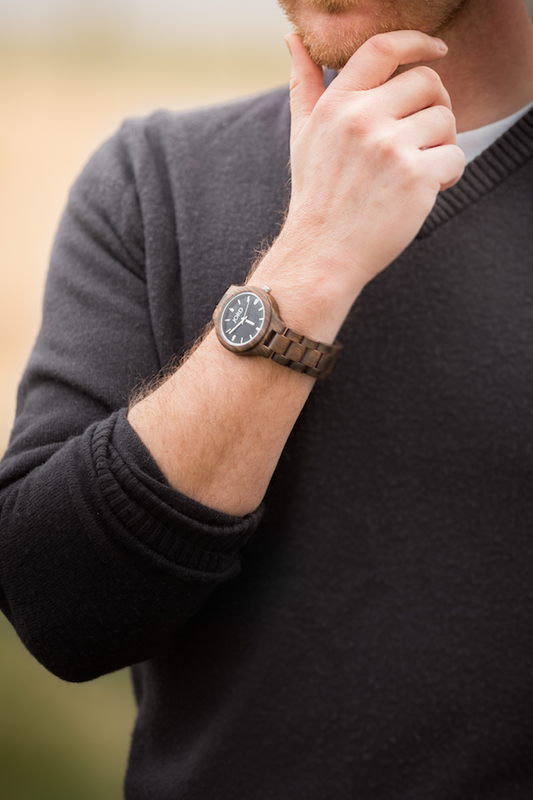 I can’t tell you how many times I heard “IS THAT A WOODEN WATCH! ?” with a slightly jealous tone. -Price, for what you’re getting, is very solid. If I had to rate the piece from 1-10 I would give it a 9.25. This is a classy timepiece for someone who wants a more unique accessory but doesn’t want all the flashy silicone stuff out there. It definitely enhances the way you feel about yourself (one of the main reasons for any accessory) and you can’t beat the price. The only thing holding this back from a 10 is some some subtle imperfections I noticed around the rim inside the crystal." 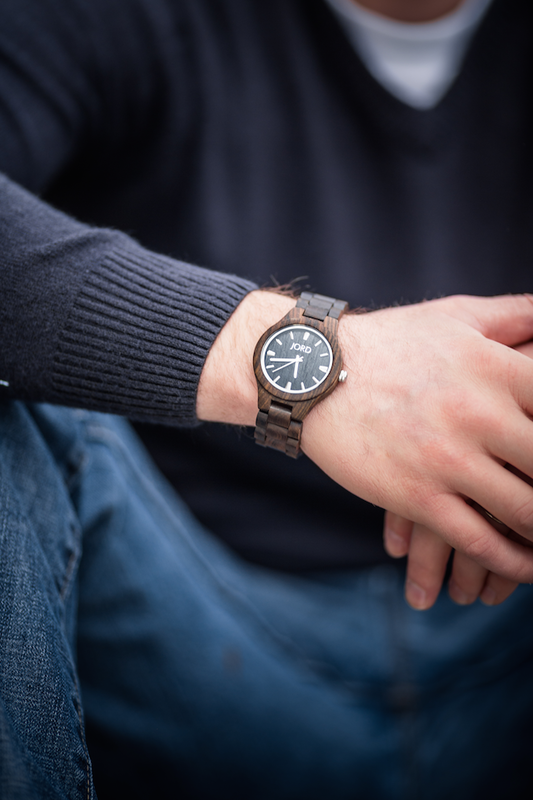 Get the watches on JORD's website! P.S. They have free shipping worldwide, just saying. Free shipping is my favorite. I will buy anything if you give me free shipping. Which is why I shouldn't have Amazon Prime. It's just dangerous. I've been reading your blog for ages, and when your little girl went to work to afford the American Girl dolls - one for her friend,too - my cup runeth over with admiration of this child on that day. I decided to come out of the woodwork and let you know that knitting doll and baby clothes is one of my favourite things to do. I would like to knit something for the American Girl doll so you can surprise Paige. If you think this is something Paige would like,( OF COURSE IT IS!) then email me back.